Some companies offer device management in the form of a hard coded agent on a gateway. This type of agent has been written specifically for the device and is oftentimes embedded and comes precompiled with the development kit. Agents come in many shapes and forms, and to some degree they are implementable on different operating systems, but they do not integrate deeply enough. More advanced IoT solutions need more remote management capabilities than the traditional agent solution can provide. 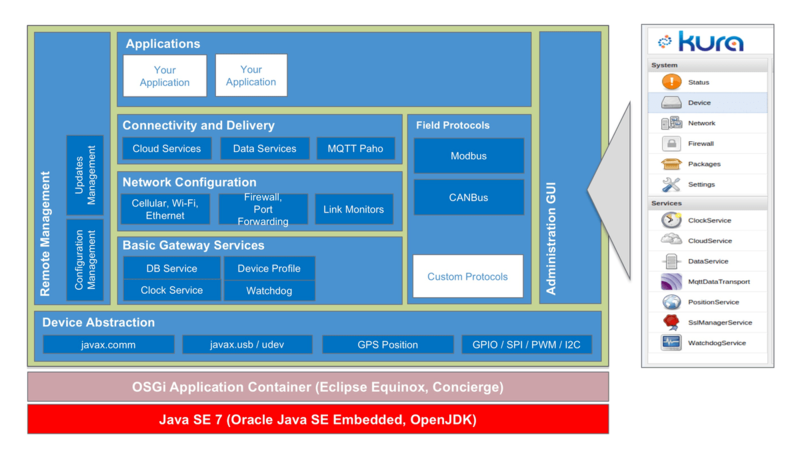 A device application framework puts a layer between the operating system and the business application on the gateway. This type of collection of cohesive software components lets customers modify, reconfigure and maintain their application over time, so it evolves as market demands change. The adaptability and flexibility to meet market requirements will give customers a huge competitive advantage over static, fixed functionality agents. But there are several key considerations before implementing a device application framework for an edge system with advanced management capabilities, notably the modularity, flexibility, and interface of the specific development platform. The benefits of advanced remote device management are far reaching and can save time and money in maintenance and updates – often the most expensive part of an IoT solution over time. To learn more about the considerations to developing an edge system with advanced device management capabilities, read Eurotech’s article in Embedded Computing Design, “Developing an Edge System with Advanced Device Management Capabilities”.